June 21st is one of the longest days of the year. But its significance is much more than just that. It is also the day when Pakistan’s great leader was born 61 years ago. Benazir Bhutto was a brave and dauntless leader. With her charisma, intelligence, wisdom, knowledge and compassion she was an ideal woman in many ways. Tested through fire, she never abandoned her ideals and belief in the freedom of humanity from tyranny. In a male-dominated and Islamic society, she became the first woman elected ruler of a Muslim country in modern history. She stood bravely against both the tyranny of terrorism as well as the tyranny of dictatorship. She was an embodiment of courage and endurance who did not allow her personal tragedies to stand in the way of her larger commitment towards her people. In the end, she was martyred for her courage and pursuit of freedom for her people. From getting the best of education, being a great leader to a conscientious mother, she has done it all. She fought for democracy until death and she worked selflessly for the Federation of Pakistan. She gave the supreme sacrifice for the people of her country and their democratic rights, and gave up her life so that the torch of freedom could burn in the night of dictatorship. She spread knowledge by building colleges and universities, especially of professional studies and vocational training. She opened the way for the middle classes to develop and prosper in the fields of medicine, engineering, law and other specialist studies. She had also fought for women’s health, social, discrimination issues and was against violence towards women. She planned to set up women police stations, banks and also courts. She was in the forefront to form the council of women world leaders. As a politician, daughter, sister, wife and mother, she fulfilled her responsibilities to the best of imaginable capabilities. She was a Benazir in every manner, thus being an icon to many women the world over, especially Muslim women. Traditionally, Muslim women are stuck to household chores and would not venture outside. 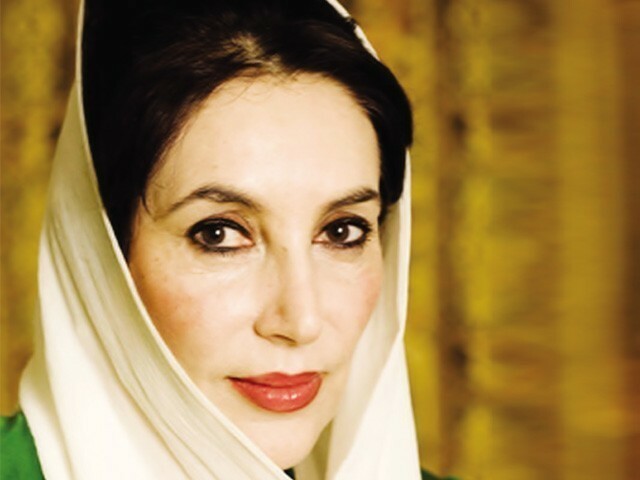 But Benazir’s zest for life and her charisma was so good that she became a role model to many. She was a woman of honour who gave honour and raised the honour of her country and the people; she gave them an identity. She was a heartthrob to millions and continues to rule their hearts and minds even today. Her entire life is a role model, not only for the people of Pakistan but also the world. She may not be physically with us today but her ideals and vision continues to enlighten our path. Her intelligence and charm has left an everlasting print in everybody’s mind. She will live forever in the chronicles of history. She is a fine example for young people to emulate as they build independent lives and take our society forward in this, still young, century. She is a shining example inspiring generations of Pakistanis, Asians and Muslims to reach the heights of greatness; she taught us to dedicate our lives selflessly to our country, to our people and to the pristine values of justice, equality and freedom in this struggling country of ours. Today, her courageous outlook has set an example for future generations. We do not have many parallels in history to her life. Mere words are insufficient to pay tribute to a leader who lived and died solely for her nation and its people. You meant no one as corrupt and incompetent , i disagree qaim ali shah is worst. BTW she has done nothing for pakistan or women in pakistan the time she was the PM. Yes, stood against dictatorship and screwed millions of Pakistanis to buy mansion worth £10 million. Such courageous example of looting and plundering! amassed a fortune of $1.5 billion [US] with her dips in the national exchequer. Houses and one huge estate in England, Switzerland. A Dubai villa. A French Chateau. No doubt she was one of the greatest leaders of Pakistan. Even the current leaders of Pakistan do not have those qualities that she possessed. She is missed and will always be missed. the statement she fought for democracy until death. well this indeed has become a very politicize statement. it has indeeeeeeeeed lost it worth because it has and was the ‘takya kalam’ of our current and previous lot. Absolutely. Courage to take revenge for her father’s hanging. 100 times over.